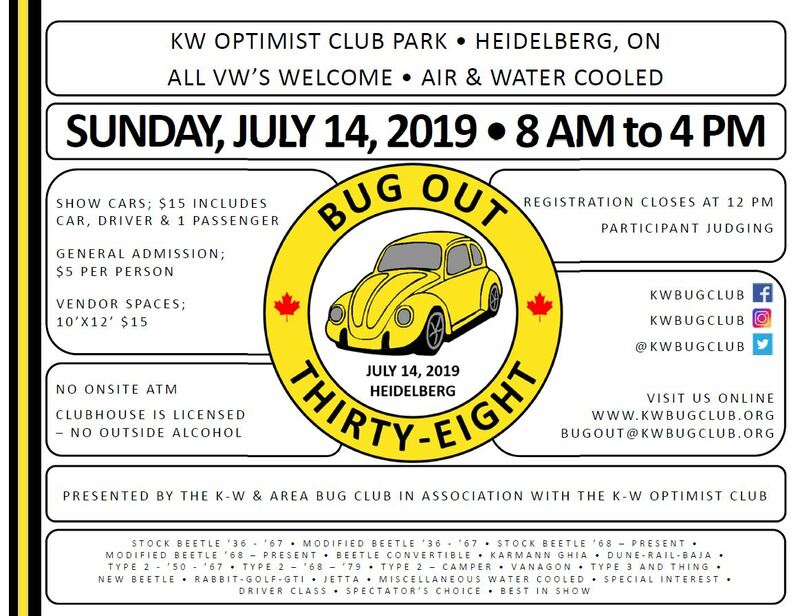 K-W & Area Bug Club is pleased to announce Bug Out #38, our annual show event on July 14, 2019, 8:00 AM to 4:00 PM. 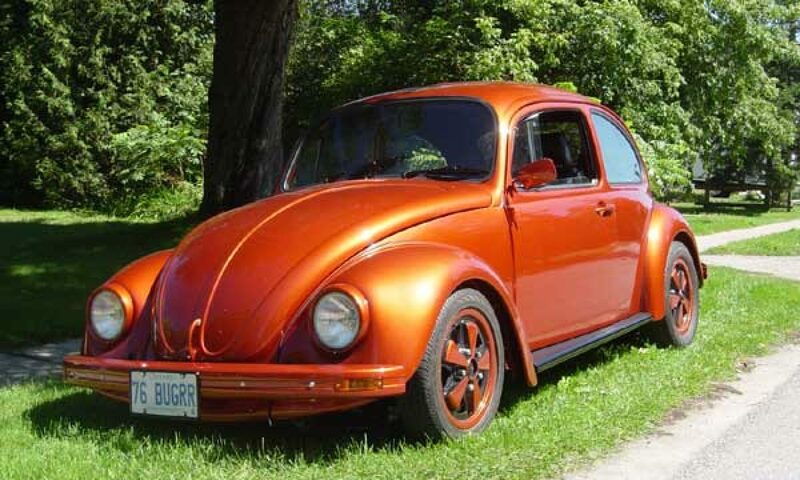 It features air cooled and water cooled Volkswagens, vintage to modern. Inside the clubhouse, we offer t-shirts and hats for sale. We have a kids table in the clubhouse as well. There is on-site food available for purchase – hotdogs, burgers, drinks, etc. The clubhouse is licensed. Please no outside alcohol. We hope you and your family/friends will come out to the show! 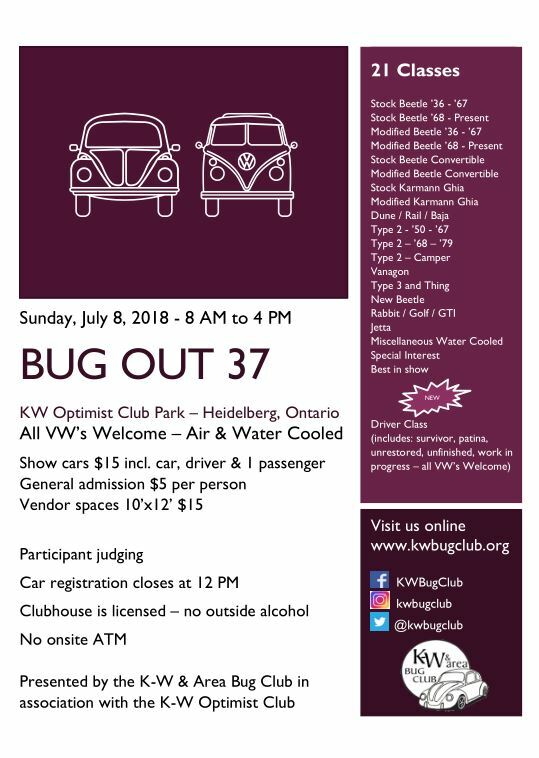 K-W & Area Bug Club is pleased to announce Bug Out #37, our annual show event on July 8, 2018, 8:00 AM to 4:00 PM. We have 21 vehicle classes, and voting is done by the car registrants. We also have a new “Public” vote – for “Public Choice” award where the show spectators can vote too for this class.